Topic: Viva la Cattank overlords! Re: Viva la Cattank overlords! See quote pyramids depower everything. YOU HAVE NO POWER OVER US KITTIES!!! You missed all the fun. Much like when Crimm plays a game. Hi-yoooooooooooo! Missed is an understatement. I tried to change Crimm's username to "The Funhouse Cod" and give him an Ace of Seafood avatar but Khush was too chicken to do it. No, as you may recall, I can't change the username of an admin as just a mod. So, Crimm had to change the name himself and there was no guarantee he'd be around to do that so it was easier if you selected someone else. I could have asked Insanolord to change it but he chickened out of swapping with Crimm's identity earlier in Khushrenada Week so he's the one to blame. Khushrenada is scott-free of pokepal's smears once again! 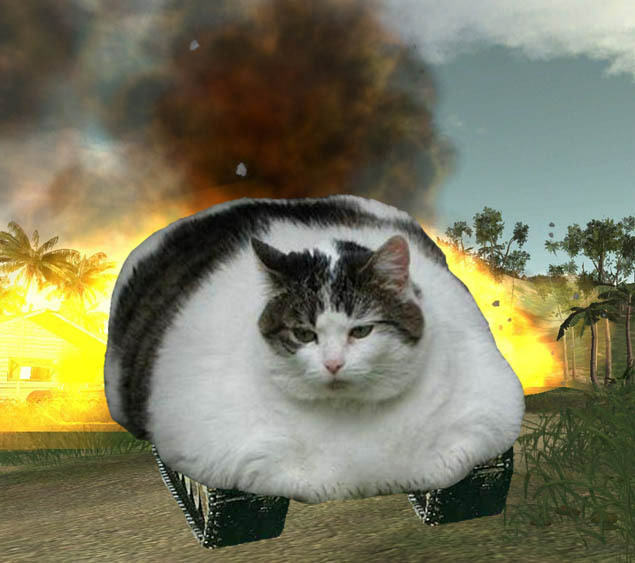 Now we know who really defeated the Cattank army.